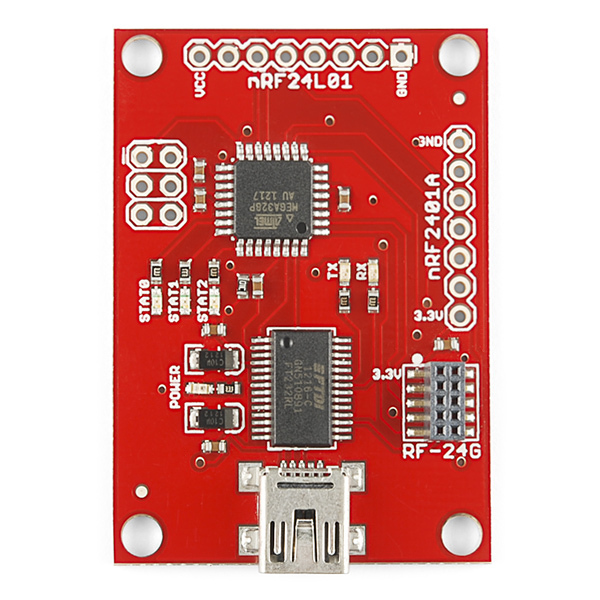 This is a simple serial to USB board that works with the nRF24L01, nRF2401A, and RF-24G Nordic transceivers. 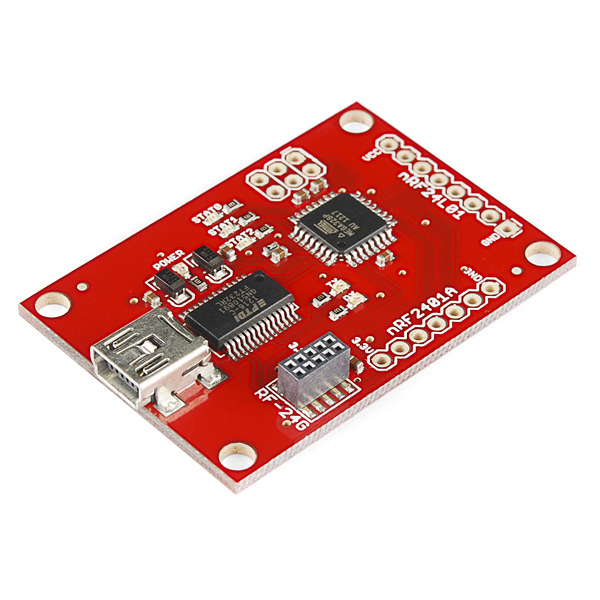 Comes with an ATMEGA328 preloaded with code that allows the transceivers to act as pass through serial devices (sends 4 characters at a time). When powered up, the board will determine which Nordic device has been attached (STAT0 will blink for an nRF24L01, or it will default to an nRF2401A and STAT1 will blink) and run the appropriate code. The LEDs then blink sequentially upon receiving packets over the RF link. You will need to use VCP FTDI drivers, so that your USB connection comes up as a COM port. 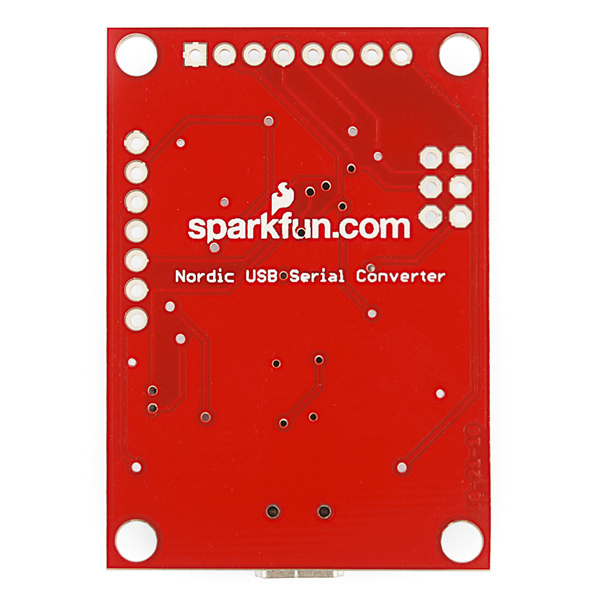 Then all you need to do is use a terminal program to communicate with the Nordic transceivers. This revision fixes the silkscreen error in the previous version. What are the fuse settings? Can someone explain the purpose of cap C4 between RST and *DTR of the FT232? This board is an improved version of WRL-09019. 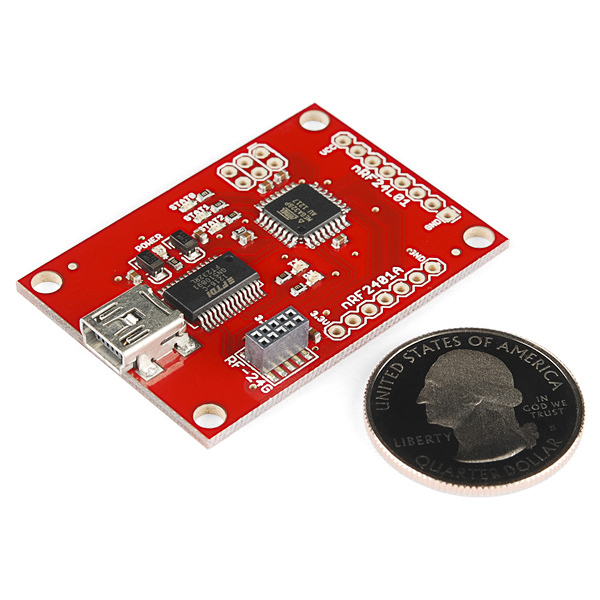 It looks the new version just uses a better microcontroller: the ATmega328 as opposed to the ATmega168V on the old board.